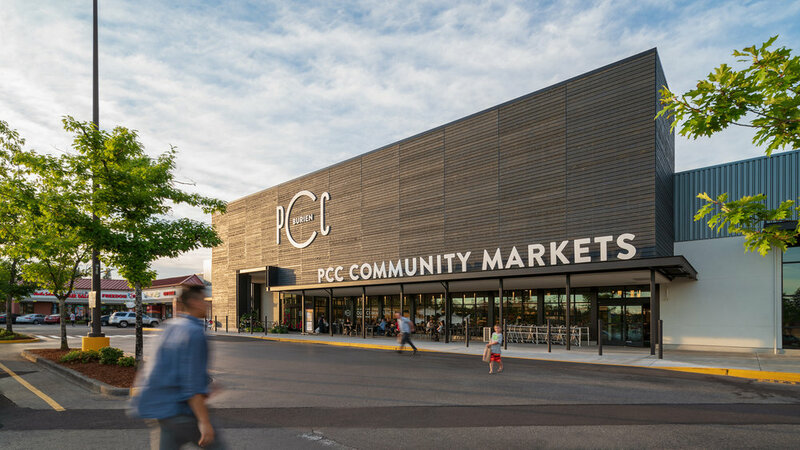 PCC Community Markets began as a food-buying club for 15 Seattle families in 1953 and grew into the nation’s largest consumer-owned food market in the United States, with 11 locations through the Seattle metropolitan region. 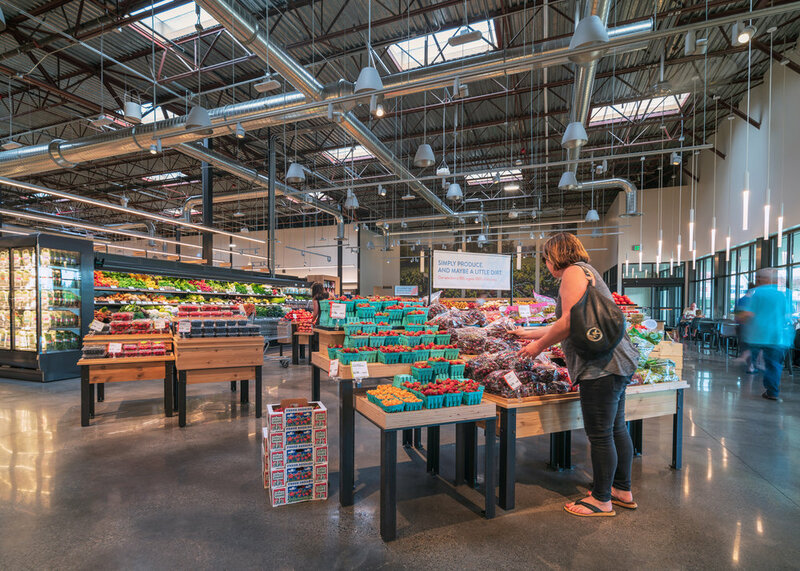 PCC engaged Graham Baba Architects in 2015 during the early planning for a major store expansion and a simultaneous organization-wide review of the coop’s brand. 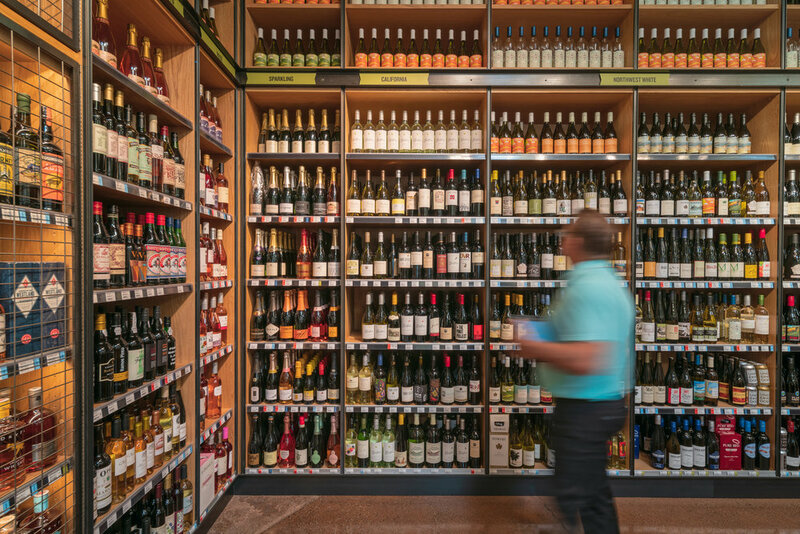 Graham Baba was tasked with developing a new look and feel for PCC’s most visible brand asset – its stores. Working with a broad cross-section of the coop’s leadership, GBA led several brand exploration exercises to elicit key PCC traits and to determine appropriate matching programmatic uses and aesthetic expressions. This early design work was non-location specific to facilitate its application across a broad range of future remodels and new stores. This strategy also allowed the team to create general brand design principles to ensure that individual store design efforts could always be back-checked against branding goals. 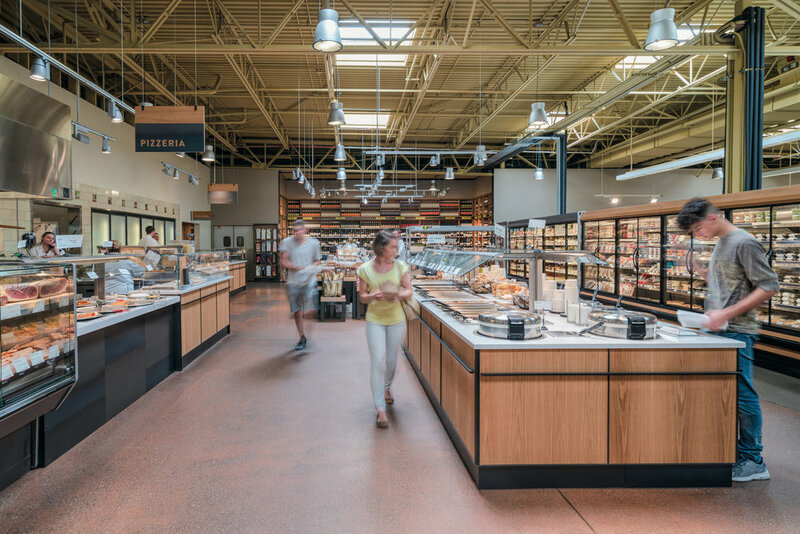 Parallel to the GBA’s work, a branding consultant was leading PCC through similar exercises aimed at the brand’s overall expression and its differentiation from competitors in the local grocery space. 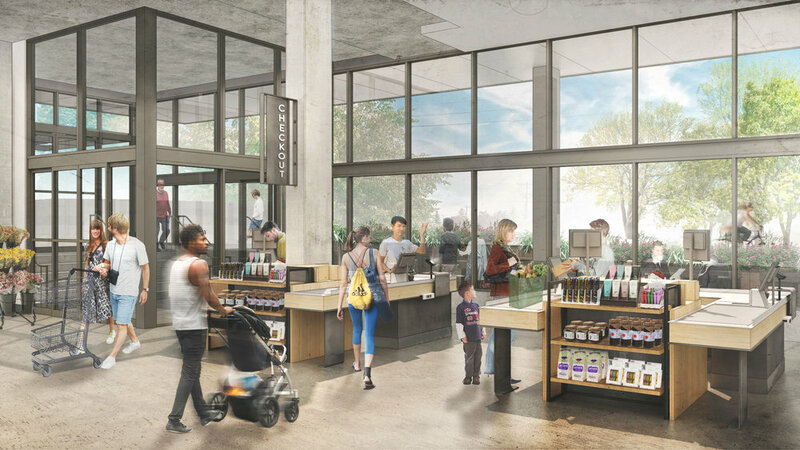 As Graham Baba began developing conceptual designs for the new look and feel of the PCC store, they coordinated with the consultant’s work to create stores which would match the coop’s future vision for the overall brand and which were appropriately unique to PCC. Use of materials with limited processing. Clear-coated steel, un-stained white oak, mill-finish stainless steel, composite stone slabs, subtle and off-white paint colors, exposed edge plywood and ground concrete form the basis of the material palette. 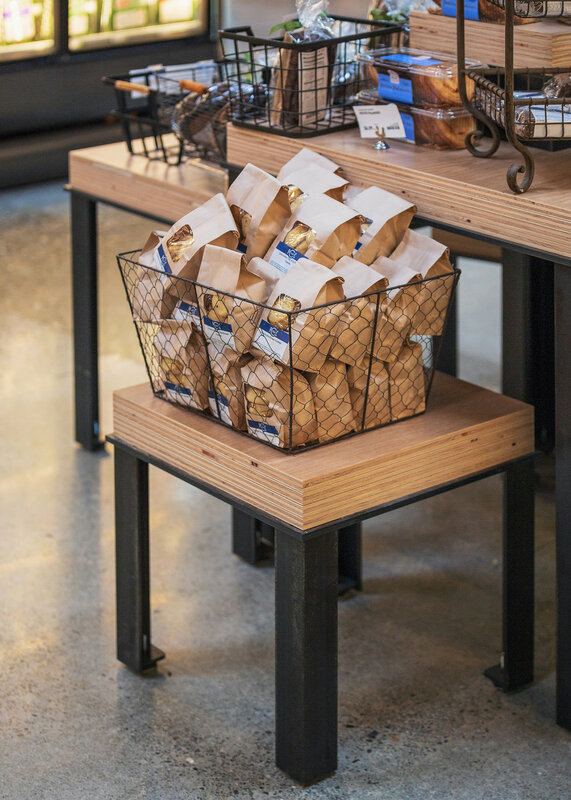 These simpler materials are meant to highlight the products in the store and to support sourcing of construction products from more sustainable sources. Highlighting areas of customer/employee interaction. 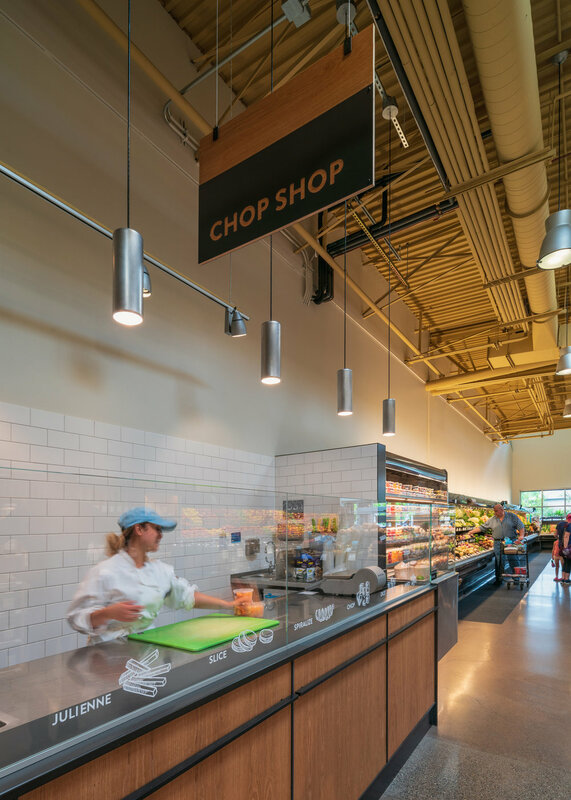 Lower service counters and refrigerated cases help customers engaged with knowledgeable and passionate PCC team members to create a more memorable shopping experience. 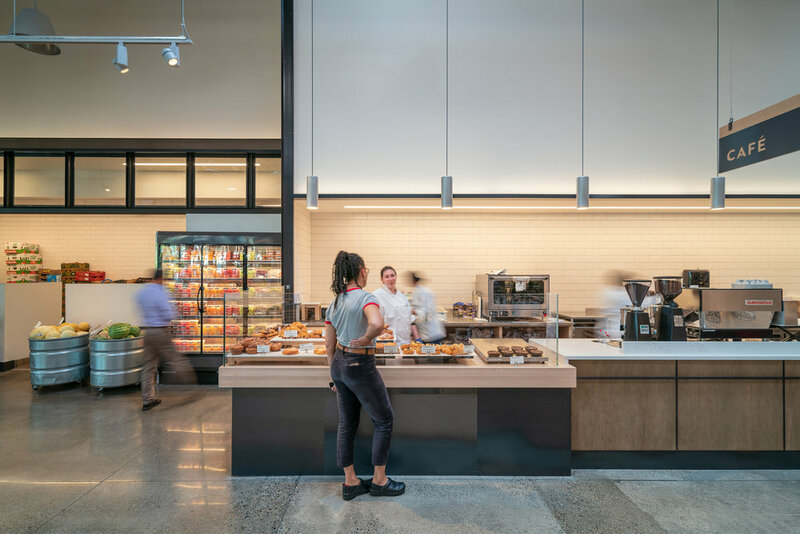 Canopies, interior storefronts and subtle material changes guide customers to these service areas and create a sense of place for each of the various parts of the store. Commitment to sustainability metrics for new stores. An approach based upon the Living Building Challenge’s petal certification program, highlighting material sourcing and use, was used to develop the design and material palette. This approach also allows for adaptation to the USGBC’s LEED program if desired for specific store locations. Design concepts and details were then tested in full-scale mock-ups as part of select renovations to PCC’s Edmonds and Redmond locations. Lessons-learned by the design team and PCC’s operations group could then be applied to the first full store roll-out. 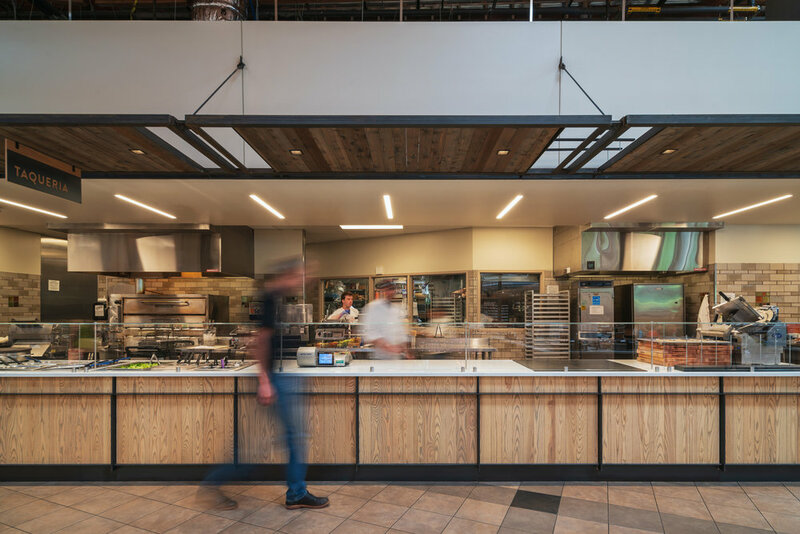 During this time, GBA also assisted PCC in on-boarding MG2 as executive architect for new locations, with both design firms knowing that early collaboration would allow for a more seamless transition from concept to execution. While early Graham Baba design efforts focused on the Edmonds and Redmond remodels and new locations in West Seattle and Ballard, the development timetable for a new Burien location meant it would be the first store to be built to the new designs and would serve as the prototype for all future locations. Graham Baba developed the initial layout and Schematic Design for the space based upon already established design principals and then MG2 led the project through the permitting, documentation and construction phases. 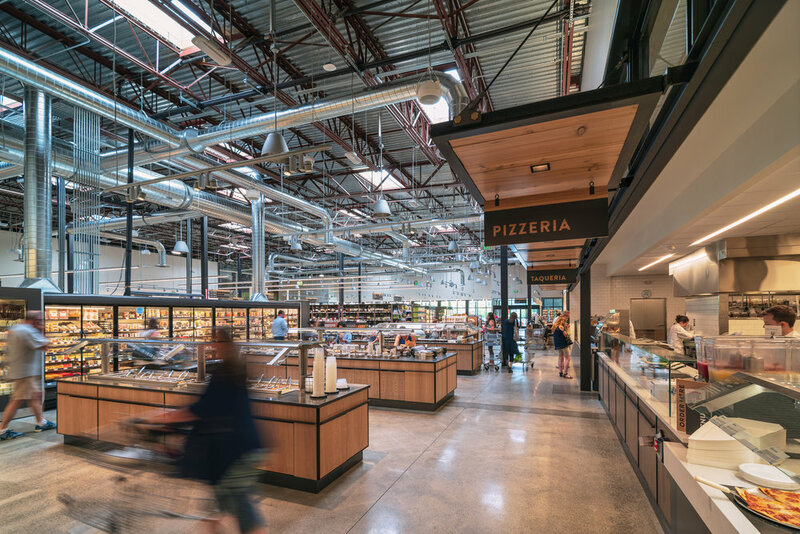 The resulting project opened to the public in May of 2018 to positive reviews and commercial success – The location has consistently outperformed initial PCC sales projections and cemented the coop’s entry into the grocery market the South Seattle area. 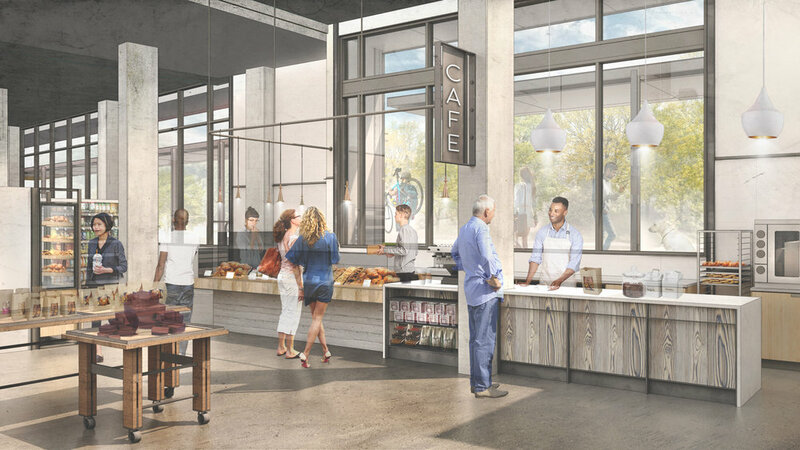 After evaluating lessons learned at Burien, Edmonds and Redmond, PCC is now executing on Graham Baba’s initial designs for West Seattle and Ballard with openings slated for the fall of 2019. Additional stores based upon the prototype are also currently planned for Madison Valley, Bellevue and downtown Seattle.